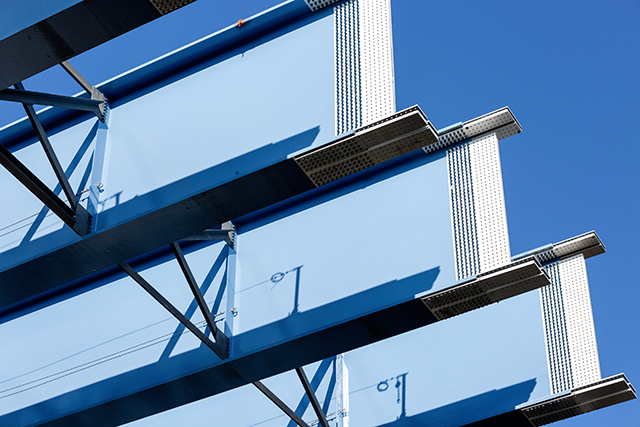 | Blog | Transportation | How can steel solve our transportation problems? How can steel solve our transportation problems? It’s a brand-new year, so naturally, everyone’s aflutter with visions of svelte waistlines, getting organized, spending more time with friends and family, and spending less/saving more. I’m not a resolution guy, but over the past few weeks, I’ve spent a great deal of time deciding what to change for this upcoming year, and figuring out how I’m actually going to do it (don’t fail me Bullet Journal!). But rather than only looking forward, I think there is also a lot of value in reflecting on my personal and professional lives in 2016. While I certainly want to get to all of those things listed above, the thing I want to really nail down this year is asking more of the right questions. I’m currently reading “Tools of Titans” by Tim Ferriss, and there is a section of the book that quotes Tony Robbins in saying, “The quality of your questions determines the quality of your life.” I’ve thought about this quote and have tried to figure out what this means to me, and what I’ve taken away is that there are millions of people out there much smarter than me, more talented than me, more experienced than me, etc. However, at one point in time, they were all just like me. The only thing that separates us is the questions they’ve asked themselves and others to get to where they are today. So, I’ve got lots of questions, and I’m hoping that those better than me will be able to help me answer them. There is a whole constellation of issues that affect our transportation industry, but I’m going to address the following 5 over the course of this year, and see where this series goes. How does the transportation industry meet the needs of our ever-growing energy demands? My question is, “How can steel help to solve these issues?” and I’m hoping that over the course of this year, I can enlist a group of steel industry experts to help me tackle these questions. If you have questions that you’d also like to see addressed, or have an opinion on any of these topics, please contact us.